If you are an investor who is interested in finding great deals before homes are exposed to the market, I will be happy to represent you. 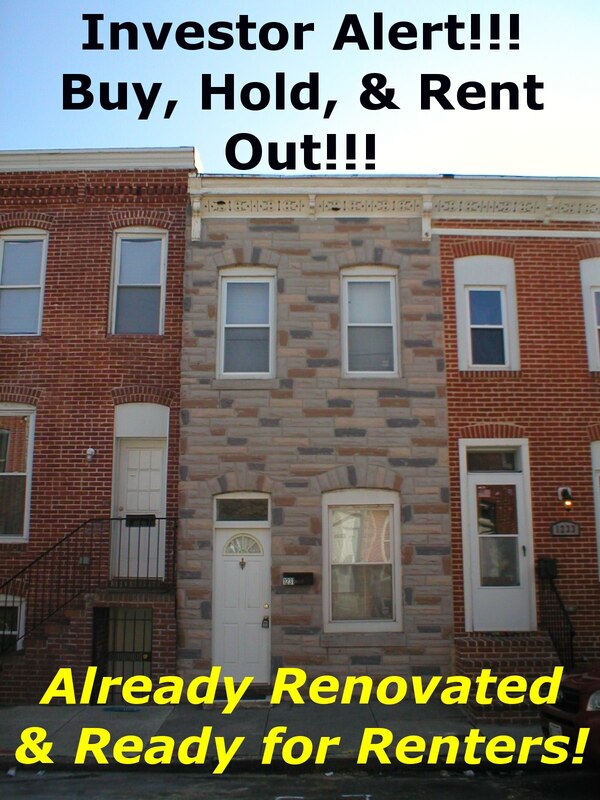 I am always listing investment properties all over the Baltimore metropolitan area. Before these homes are exposed to all consumers, I will send the property information to you so that you have a jump-start over all other investors. I will also set you up to receive the most recent investment listings that hit the market, such as foreclosures and REO's. There are still a lot of investment opportunities in the Baltimore region. Give me a call at 443-504-8930 for more information and start building your investment portfolio today.